Culinary Business Intelligence- Creating Mobile Apps for Restaurants and Integrating with EVERYTHING!!! Many restaurant owners aren't aware of the power an effective app has with regards to their bottom line. 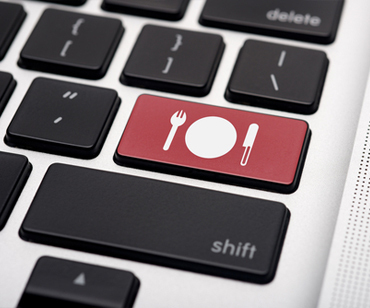 CBI is focusing on helping restaurants improve their customers’ virtual experience. C.B.I. 's Mobile Apps are integrated into the Restaurants email Marketing, Online Ordering, Rewards Program and much more. The apps designed by CBI consider brand messaging, customer loyalty programs, and utilizing innovative technology to streamline restaurant reservations. Mahzu Japanese Restaurants located in New Jersey. Please help me welcome Mahzu Japanese Restaurants to the Culinary Business Intelligence Family. If you are in New Jersey you should try their Hibachi, Sushi or New Menu Items like the Smoked Salmon and Avocado Egg Roll, Sizzling Japanese Seabass or the Crispy Sweet Potato Fry's with Spicy Dipping Sauce . Our Chefs are creating an extraordinary modern, family friendly, new menu. Featuring new age culinary techniques coupled with traditional Japanese cuisine. Creating an amazing dining experience. Highlighting fresh seasonal ingredients, seafood direct from the fisherman and unique flavors. Their Website will be launching in the next few weeks. The site is still under development. Please take a preview of the New Site at. We are having a Great time helping our Friends at Mahzu Restaurants. implementing with the Mahzu Team. Birthday's and other Party Photos are automatically Uploaded to their site and Facebook Page. Guest can sign up for Newsletter and emailed the link to their Pictures. Operational Analysis, Menu Design, Chef/Staff Training, Tastings, Develop New Menu Items, Development, collaboratively work on menu items, pricing, and layout, tracking food cost and creating a market strategy from competition survey. INTUITIVE - WEB-BASED Food & Beverage Tools Designed to help you Manage your Restaurant. Start lowering your costs, increase revenues and improve quality TODAY!